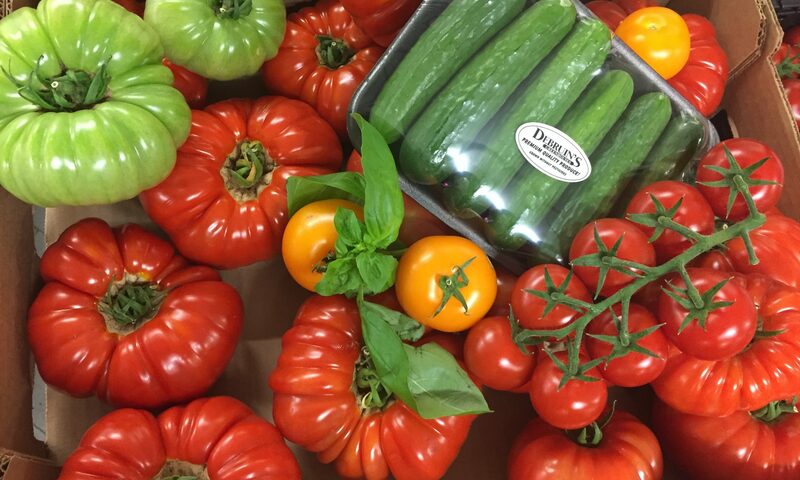 Vibrant and larger than life, Teresa Daniele brings you her all natural vegetables at the Country Market. Growing up in Italy has taught her the value of hard work and dedication amongst family and community. Throughout her life, Teresa has always been incredibly passionate about gardening. 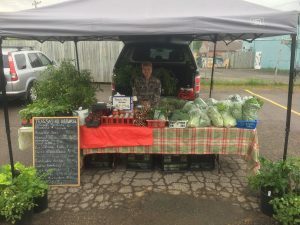 Over the years, Teresa’s gardens have grown to accommodate a new passion; to help the people of Thunder Bay eat healthy, locally grown vegetables too. Teresa’s gifted green thumb brings the natural world to life. Walking through her gardens is like strolling through a paradise, where her own vivid charm is reflected in her colourful gardens. She offers vibrant red tomatoes, lush green lettuces, cucumber, and zucchini along with eggplant that is a delectable, dark purple. She grows a spectrum of different peppers, squashes and beans, as well as carrots, onions, potatoes, beets and garlic. Or perhaps for a sweeter taste, Teresa grows the juiciest apples and grapes. She is not only devoted to quantity, but quality vegetables. Teresa’s gardens are grown 100% naturally with no pesticides, herbicides and only natural fertilizer from their friendly pet goats.